Crossing Central Asia overland is undoubtedly faster and less eventful today than it was for sixth-century merchants looking to exchange weapons for spices, but if you’re planning to set out for a transcontinental journey of this kind, it will nevertheless be epic. With modern(ish) methods of transportation available and a relatively calm situation in most countries along the way, traveling the 5,000-mile route connecting east and west is mostly a matter of patience. If we were to interpret the term literally, the legendary Silk Road should be traversed in only one direction, east to west. Silk originated in China and traveled for months through Central Asia in order to reach Roman hands in Europe, where the natural fabric was considered the ultimate luxury. 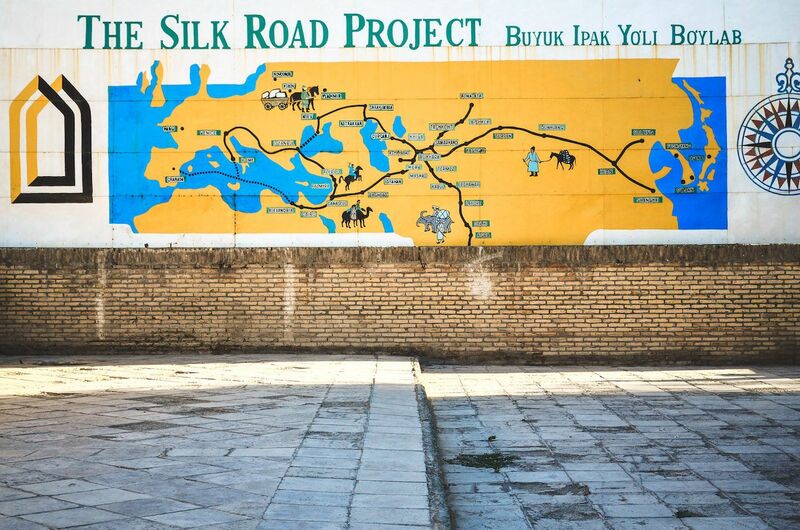 However, the term “Silk Road” refers to something much larger than the mere exchange of textiles. Once the Hexi Corridor opened up between Xi’an and Central Asia (around 130 BCE), expanding the trade routes already in place toward the East, merchants began exchanging not only textiles, but spices, tea, precious stones, medicine, weapons, silver, honey, animals, and even slaves at the oases and caravanserais along the route. While commercial trading fueled the traffic, creating branches that spread out all the way to India, Southeast Asia, and Africa, the network of roads has been particularly valuable for its contribution to the development of modern cultures. Buddhism, for example, was diffused outside of India thanks to these connections. What we call the Silk Road is, therefore, not a single trackway linking two points on a map, but rather a criss-crossing of routes and paths of trade routes developed over centuries where people flowed and with them, goods, cultures, technologies, and religions. Dealings on the Silk Road remained active until the late Middle Ages (1453). The discovery of sea routes caused the ultimate decline of land transport and many cities that had gained wealth due to their strategic position lost their fortunes. My personal journey along the Silk Road took me all the way from eastern China to Italy through Kyrgyzstan, Uzbekistan, Iran, Turkey, and Greece. After risking an arrest on the border of Turkmenistan because of them not being able to provide me with the much-needed transit visa on time, I had to skip the country with a last-minute flight. The trip, however, is easily doable overland, given that your organizational skills are top-notch. Generally speaking, the entry point to the Silk Road is Xi’an, in China’s Shaanxi province, while the final stop is in Istanbul, Turkey, at the doorstep of Europe. But there are no strict rules; between the two cities, the itineraries vary and you can explore in any direction you wish. While I decided to head south from Uzbekistan and traverse the Middle East, it is also possible to exit China or Uzbekistan via Kazakhstan and cross the Caspian Sea into the Caucasus. From these two main routes, an almost infinite number of potential detours await. 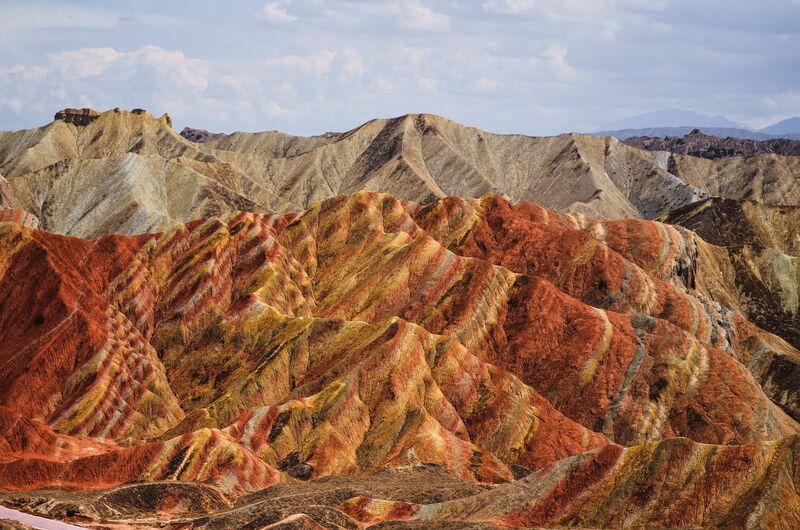 After a brief stopover in the town of Zhangye, located along the Hexi Corridor and famous for its rainbow-striped rock formations, I recommend that you proceed to the capital city of Ürümqi in the autonomous region of Xianjiang. Western China is perhaps the least stable area along the Silk Road, because of the long conflict between the central government and the local Uyghur population, which still causes bombings and armed attacks from time to time. Another night on the train takes you to the last of the Chinese cities before Central Asia: Kashgar. A mosque establishes the city center and sand-colored buildings surround the market in which mutton stew has replaced steamed dumplings. The male inhabitants wear square hats and have long beards while most of the women don thick veils. Kashgar is as Chinese as Beijing on the map, but in reality, the two cities and their people could not be any more different. From Kashgar, in a matter of hours, you can be in Pakistan, Afghanistan, Kyrgyzstan, Kazakhstan, and, a little further, India. A central node in the Silk Road, this city has always seen the intersection between civilizations and is still a vibrant cultural nest today. A bus ride over spectacular mountain passes leads to Kyrgyzstan, a country of natural wonders that blends nomadic tradition and Soviet history with pristine landscapes. From Osh, the second largest city, you can access Uzbekistan in no time, but it is worth considering a diversion north, to Issyk-Kul Lake and the Tien Shan Mountains. 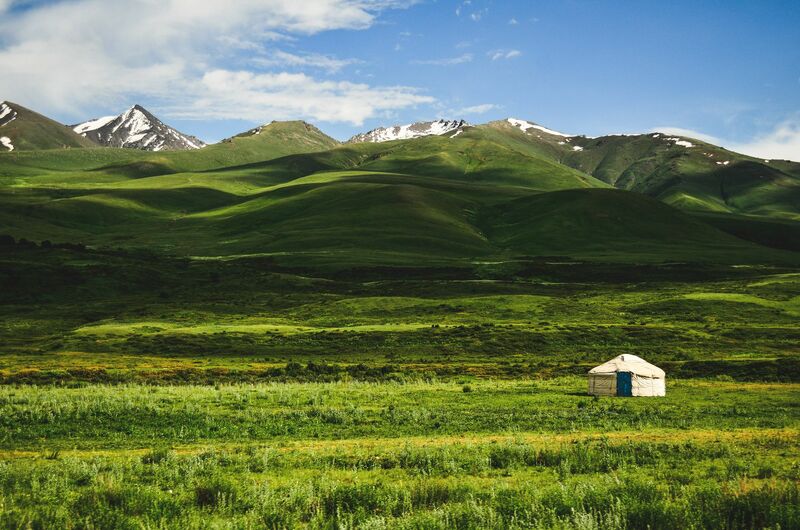 The many jailoos (summer pastures) dotted by yurts set up by nomads in altitude areas are worth the circuitous route. 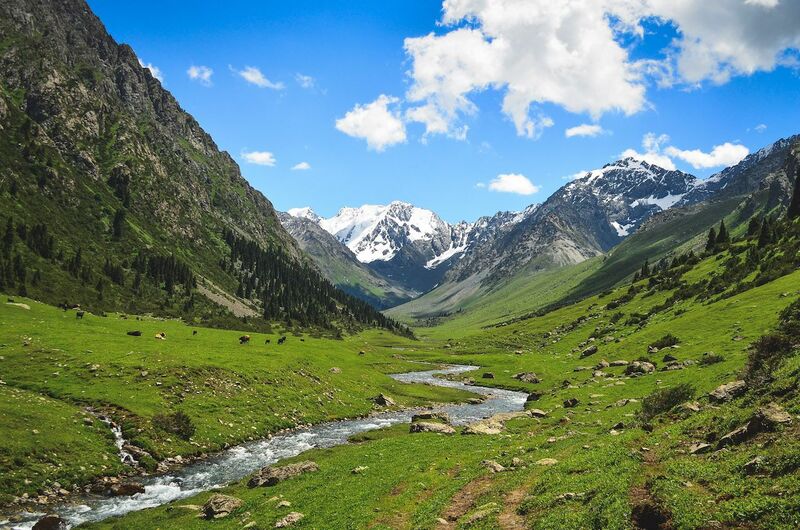 The Karakol region and the area surrounding Song-Kul Lake are two of the best if you want to make use of the hiking boots you’ve been carrying in your backpack. Signage is lacking, maps are hard to find, and trails are barely visible, but that’s what keeps the place unspoiled. 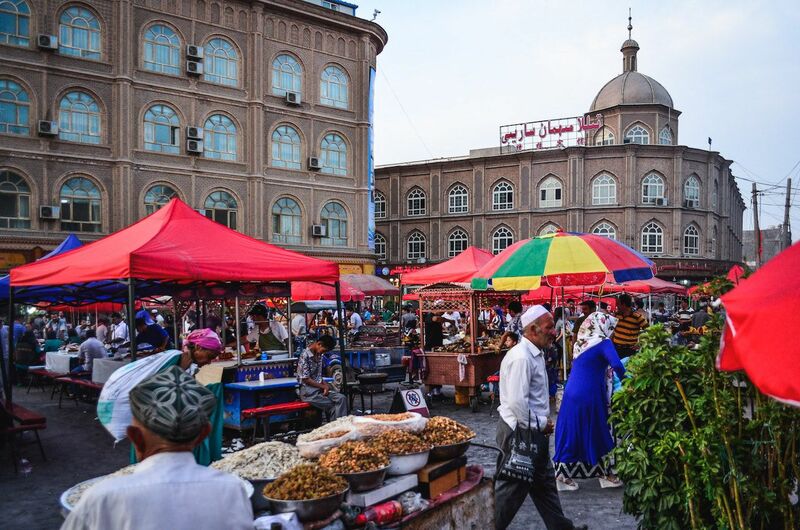 Since President Shavkat Mirziyoyev replaced his authoritarian predecessor in 2016, Uzbekistan — a formerly closed off country — has opened up toward foreign tourism. Applying for a visa and getting it today is a much smoother process than in the past and this is definitely a situation to be taken advantage of. 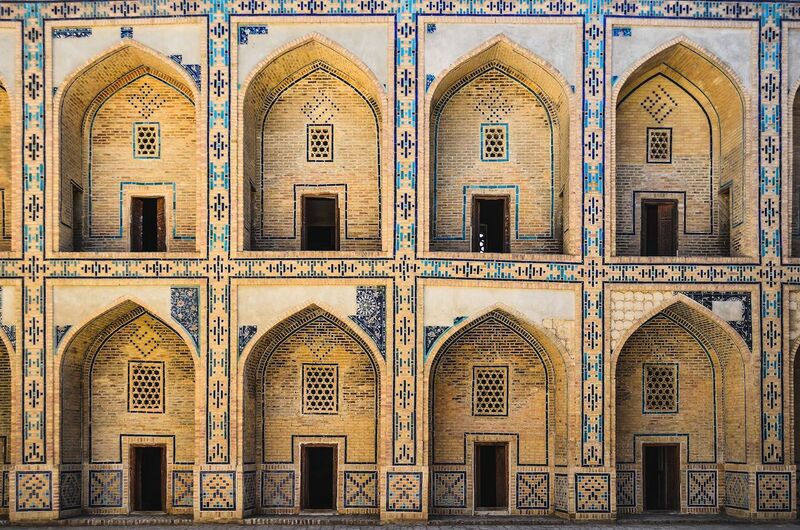 Uzbekistan is full of amazing sights, including intriguing examples of Islamic architecture, restored to their former glory by the Soviets who despised religion but understood the value of these man-made treasures. 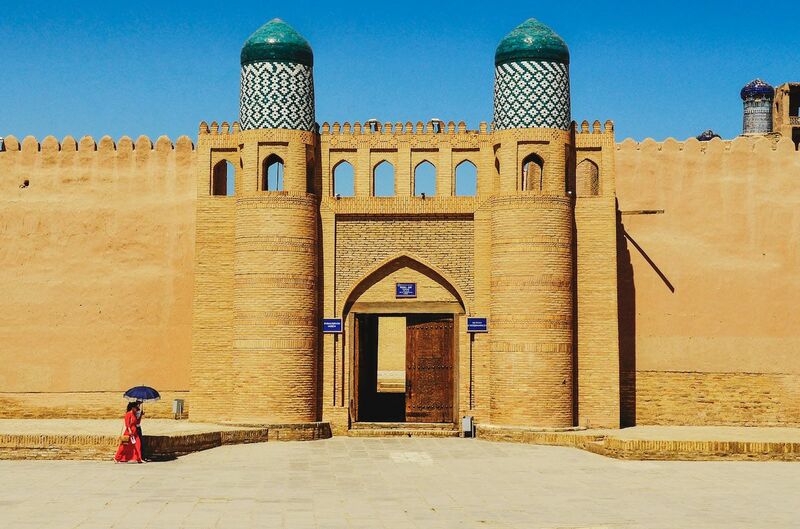 Some of the most important centers of the Silk Road are here — starting from Samarkand, a city of turquoise domes founded in the seventh century BCE, to walled fortress of Khiva. The newly-acquired openness has not extended to Turkmenistan, which allows visitors only a short transit visa (tourist visas involve getting a letter of invitation from the person that you are visiting or permission from a tourist agency with whom you need to book an expensive and guided tour). That said, the country is small and mostly empty, so the five-day permit to cross into Iran is usually more than enough for a short visit. 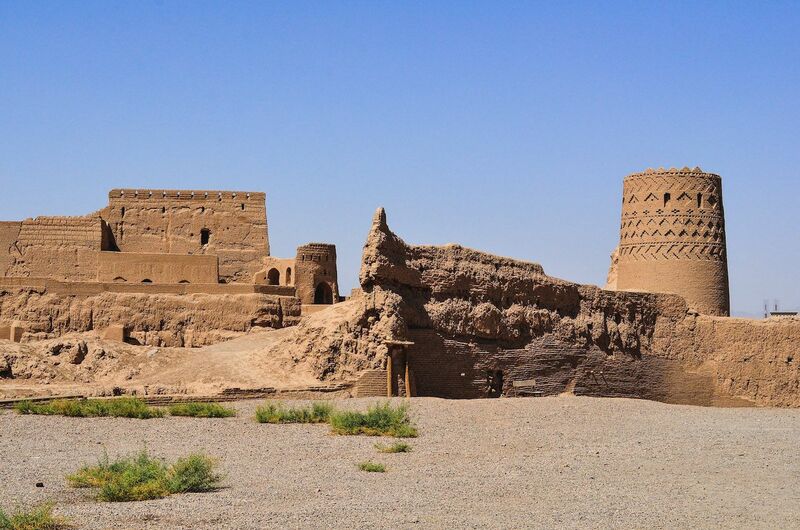 The old Persia, on the other hand, will welcome you with its disarming hospitality and some of the most stunning historical sites on the whole route. 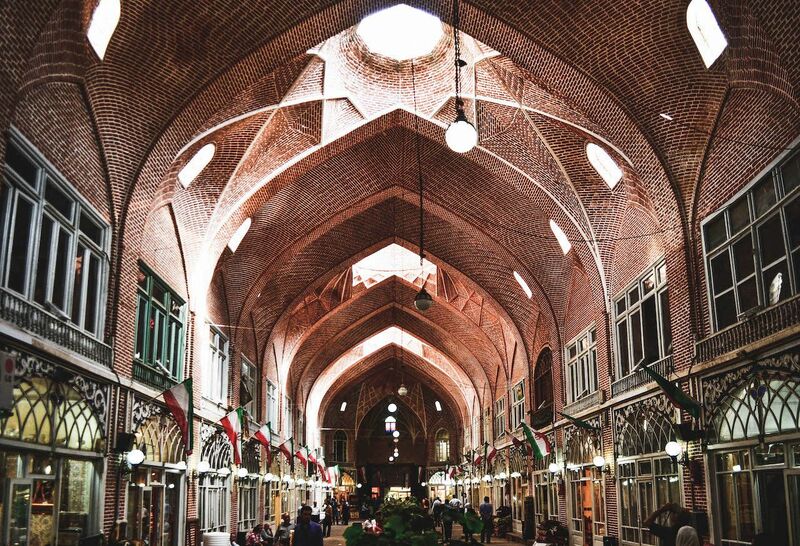 After visiting millennia-old castles, restored caravanserais, and remnants of the Zoroastrian tradition, you’ll reach the city of Tabriz, another key node on the Silk Road with its UNESCO-listed brick-covered bazaar, a complex that has seen people from East and West exchanging goods for centuries. 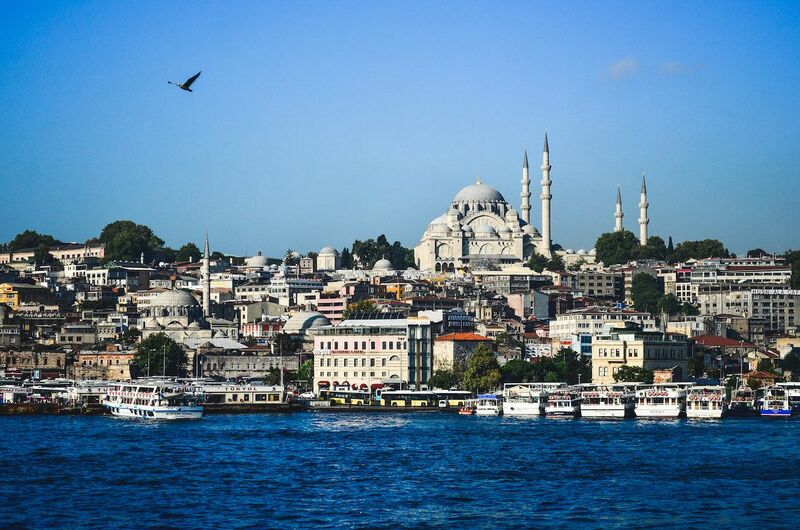 From there, it’s smooth sailing all the way to the western tip of Turkey. Some alternatives exist to the itinerary just described. From the city of Aktau in western Kazakhstan, ferries depart toward Baku, Azerbaijan. From Baku it is necessary, however, to go the long way via Georgia, as both the borders between Azerbaijan and Armenia, and between Armenia and Turkey are closed at the time of writing. For those able to obtain a Russian visa, it is also possible to travel around the Caspian Sea and into the North Caucasus. Traveling the Silk Road is not another Southeast Asian Banana Pancake Trail — although there are backpackers exploring this corner of the world, you won’t encounter full-moon parties with flaming jump ropes and cheap cocktail buckets. Let’s be grateful for that. Public transport is available in most areas and shared taxis are common in regions not covered by buses or trains. Especially in Kyrgyzstan, it is not unusual to see locals hitchhiking along the road. Traveling by thumb is possible, but remember that people offering a ride will expect you to contribute to fuel costs. Chinese trains are modern and comfortable and the same can be said of Iranian and Turkish buses. Most people still travel overland in this part of the world so finding a connection to your next destination will hardly ever be an issue. Kyrgyzstan has developed a great Community Based Tourism system, which allows you to find accommodation through local families in every corner of the country. Just walk into one of the CBT offices in the major cities and ask about the options, and regardless of whether you’re looking to reach a remote destination or sleep in a yurt with the locals, it can easily be set up. While each country has its own tongue and each region its own dialect, the most widely spoken language along the Silk Road is Russian. You can get by with English relatively easily; however, it may be helpful to learn some Cyrillic letters to decipher signs at the very least. 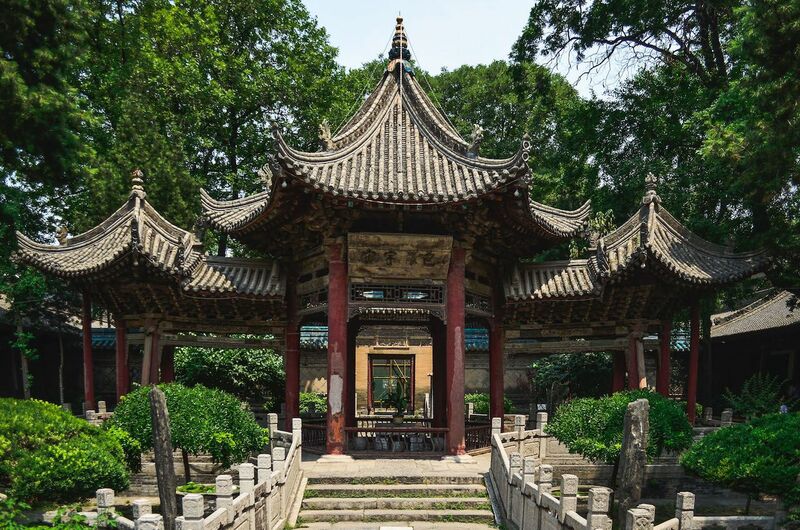 It is not necessary to invest 24 years of your life in this trip like Marco Polo did to complete the journey from Xi’an to Istanbul, but you will need at least two full months, preferably in the summer, if you don’t want to rush through. Although many destinations in Central Asia may appear isolated, there is a decent tourist infrastructure in every city along the way. Iran and the ex-Soviet states are safe to visit; however in Xinjiang incidents due to the Chinese–Uyghur conflict occur from time to time. That said, foreign travelers shouldn’t consider the current political situation an obstacle. Xinjiang is a region where the presence of the police is highly felt, checks are frequent, and tanks occupy the streets, but tourists can move freely and are hardly ever bothered. Uzbekistan used to have strict regulations regarding foreign travelers. Until a few years ago you had to register in every hotel and guesthouse you slept in and show the receipts upon exit at the border. Not providing proof of registration for every night spent in the country could mean arrest or deportation. This is no longer the case. Today you are still required to register at hotels at least once every three nights, but if you plan to camp or couchsurf, it is also possible to use the online service Emehmon to pay your tourist tax. While Couchsurfing is no longer illegal in Uzbekistan, it is still officially not allowed in Iran. That said, Iran is probably one of the easiest countries to find a host in and many people use Couchsurfing to meet and help each other. If you decide to rely on the online platform to find hospitality, just be aware that it is technically forbidden. Although not essential, it’s a good idea to request both your Chinese and Iranian visas in advance in your home embassy in order to save time while on the road. Most embassies will require you to apply no earlier than three months before entering the country, so take this into account if you are planning a longer trip. During the research stages of your trip you’ll likely come across some nightmare stories of border crossings in Central Asia. Many travelers have had to deal with corrupt police in the past, but today the situation has greatly improved and as long as you play by the rules you will not experience any form of harassment. Of all the countries along the way, Kyrgyzstan is the easiest to access. This tiny and isolated nation understood quickly the value of letting foreign tourists in and allows citizens of 40 countries to stay for 60 days without a visa. This is particularly useful if you are planning to obtain other permits on the road, as waiting times can be long. 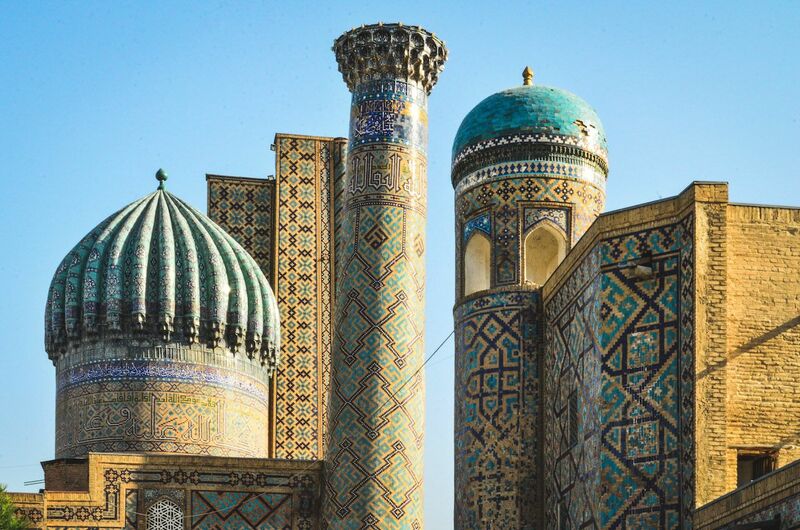 Since February 2019, Uzbekistan has introduced a visa-free regime for all countries of the European Union and Canada, and an electronic visa service for citizens of the United States. Turkmenistan is still pretty much closed off to the outside world — so much so that it’s been nicknamed the “new North Korea.” In order to get a tourist visa, you need to obtain permission from a tourist agency with whom you need to book a guided tour that costs between $150 and $250 a day. It is possible, however, to obtain a transit visa, which allows crossing the country via two predetermined entry and exit points within three or five days. It is fundamental that you organize this part of your trip some weeks in advance, since the transit visa is date-specific and receiving it may take some time. Azerbaijan has also activated an online visa service since 2017. It is possible to request your permit through the official website and receive it within hours in your inbox. Just be careful to apply on the right website, as many agencies pretending to be government institutions have set up similar-looking portals where an extra fee is charged for the application service. Caravanistan is the richest source of information regarding this part of the world. Each country has a dedicated page with up-to-date documentation and the forum contains many personal accounts of travelers who have passed through the region. Pleco is a great smartphone application to communicate in Chinese. It offers a dictionary and OCR to scan and translate written words instantly.